11 of 12 Days of Lipstick & Style…3 tips on how to shop with intention! On the 11th day of Lipstick & Style…3 tips on how to shop with intention! How many times have you entered a store or started to shop online and were instantly overwhelmed with all of the options?! Today we are going to discuss 3 tips on how to shop with intention and direction as you are developing your own personal style. 1. You need to know your own personal style, one that is unique to you. This starts by knowing what you like and honestly, knowing what you don’t like. Maybe even more importantly than knowing your likes and dislikes is knowing the WHY behind it. It is very important to understand why you like what you like and how to wear it. One easy way to start is by gaining inspiration. I do this with all my clients, go to Pinterest, Instagram, magazines or really anywhere you can gain inspiration and create an inspiration board. Once you have created your inspiration board carry this with you while you shop. This will help give you direction to styles, pieces and colors you like. 2. It is so important to understand and learn how to fit your body, your own unique shape. As you try on different silhouettes you will start to understand what fits your body and looks good on you and why. As you start to find silhouettes that fit and flatter your body take note of this to add to your inspiration board. Once you start to pinpoint which styles flatter and fit your body, this will help eliminate trying on pieces that don’t fit, saving time and discouragement. 3. Learn where to shop for you. Are you an online shopper, don’t want to deal with a crowd or a sales associate telling you what you should or should not buy or are you and in-person, try-it-on, need to touch and feel every piece kind of person? As you start to shop, take note on where you find pieces that reflect your style, fit your body, and make you feel amazing and successful as you walk out the door or push the ‘send’ button online. Building your own Personal Style that is truly unique to you is ever evolving, take your time and enjoy the process! 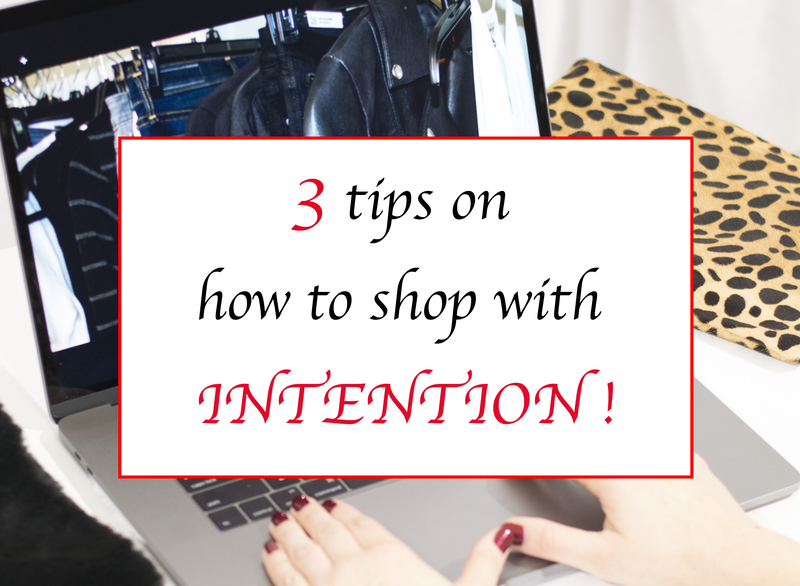 If you have any tips to share about how you shop with intention I would love to hear them, please comment below! « 10 of 12 Days of Lipstick & Style…How beauty plays a role in your own Personal Style!